This section features one-off autobio comics on a variety of topics. Several of these were originally published by The Nib for their Response feature. This comic was originally published by The Nib as part of a multi-cartoonist Response feature on trans bathroom issues. You can read all the comics here. 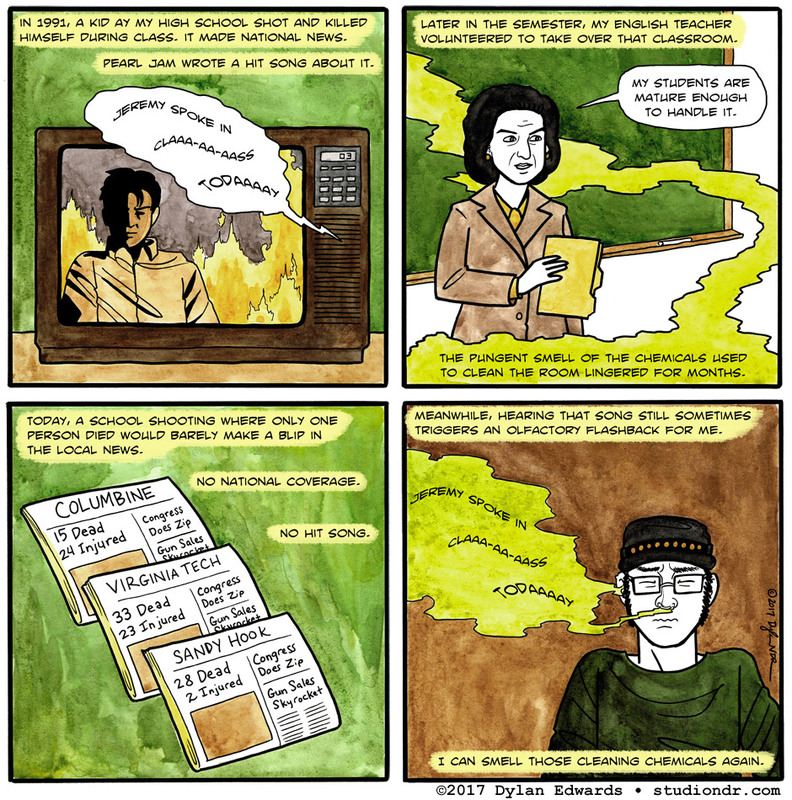 This comic was originally published by The Nib as part of a multi-cartoonist Response feature on banned books. You can read all the comics here. The originals for this piece are on two full-sized pages, so the price to purchase includes both pages. This comic was originally published by The Nib as part of a multi-cartoonist Response feature on gun culture in America. You can read all the comics here. The originals for this piece are on two full-sized pages, so the price to purchase includes both pages. This comic was originally published by The Nib, as part of a Response feature with several cartoonists giving their thoughts on what it means to be transgender and how that has changed for them over time. You can view all the comics here. 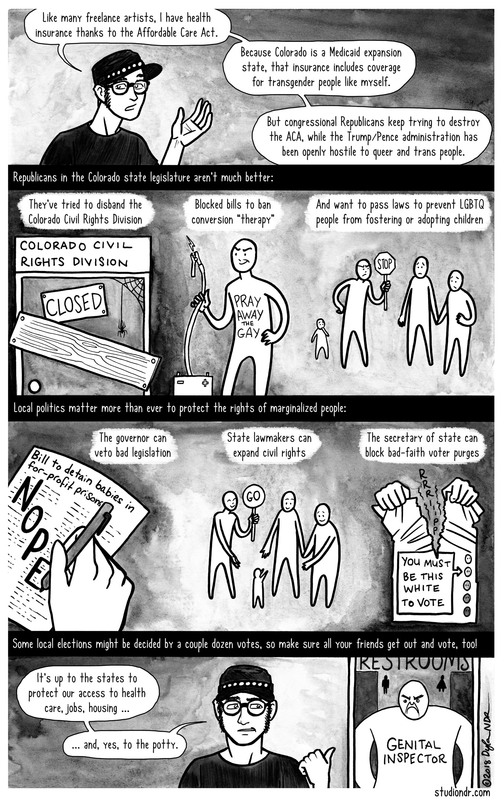 I originally created this comic for the 2018 Draw Out the Vote project from Oni Press, where cartoonists from each of the 50 states discussed political issues relevant to their state, and why voting is an important part of addressing those issues. My comic focused on LGBT issues in Colorado.